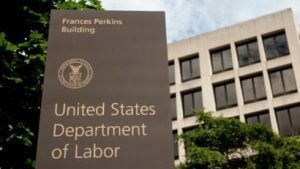 The Department of Labor issued a bulletin Friday alerting the financial services industry that it will not pursue strong enforcement of its fiduciary rule in the short term. The bulletin was issued to clear up confusing over the rapidly approaching April 10 applicability date. That date may be delayed by 60 days if a DOL rule is published in time. A. In the event the Department issues a final rule after April 10 implementing a delay in the applicability date of the fiduciary duty rule and related PTEs, the Department will not initiate an enforcement action because an adviser or financial institution did not satisfy conditions of the rule or the PTEs during the “gap” period. B. In the event the Department decides not to issue a delay in the fiduciary duty rule and related PTEs, the Department will not initiate an enforcement action because an adviser or financial institution, as of the April 10 applicability date of the rule, failed to satisfy conditions of the rule or the PTEs provided that the adviser or financial institution satisfies the applicable conditions of the rule or PTEs, including sending out required disclosures or other documents to retirement investors, within a reasonable period after the publication of a decision not to delay the April 10 applicability date. President Donald J. Trump ordered the department to seek a delay in a Feb. 3 memorandum. Trump’s memo tasked the DOL with studying whether the rule will deprive Americans of retirement advice and/or add undo cost burdens. Republicans control the White House, as well as both chambers of Congress, and are intent on killing the Obama administration regulation. The fiduciary rule requires anyone selling financial products with retirement dollars to adhere to a strict best-interest standard, or face class-action liability. ASHINGTON ― The acting SEC chair isn’t mincing words on the Department of Labor’s fiduciary rule. His comments come as the fate of the Labor Department regulation is uncertain; the department has moved to delay implemention while it reviews the rule. Piwowar says now is the time to rethink the entire debate around a fiduciary standard because of favorable circumstances, including the freeze he put on writing new Dodd-Frank rules at the commission and the administration’s push to slow or block the Department of Labor’s fiduciary rule. “That now opens us up to have a lot of staff-driven ideas come up through the commission, maybe things that haven’t gotten on the agenda for the last six-and-a-half years because they’ve been sort of crowded out by Dodd-Frank rulemaking, but yet are things we should be doing or should be thinking about,” Piwowar said in remarks at the Investment Adviser Association’s annual regulatory and compliance conference. For the better part of a decade, the debate over a uniform fiduciary standard has been framed by the provision in the Dodd-Frank Act that authorized (but did not require) the SEC to harmonize the rules governing different types of financial professionals who serve retail investors. In the context of the highly politicized and polarizing Wall Street reform law, participants in the fiduciary debate have tended to retreat to their “camps,” Piwowar says, and the uneven standards of care remain unchanged. “What I’d like to do is take the opportunity to step back from that and have a more fulsome discussion,” he says. Piwowar suggests using a 2008 RAND study that the SEC commissioned as a starting point to reorient the fiduciary discussion. That study found that while investors are generally pleased with the investment advice they receive, there is widespread confusion about the different standards of care that govern the brokerage and advisory sectors. In part, that confusion arises from the myriad titles financial professionals confer upon themselves, with many strains of “advisers” offering their services while operating under different regulatory environments. Piwowar urged the advisers and compliance professionals attending the IAA’s conference to engage with SEC staffers to advance the fiduciary discussion and help to surface other proposals that could improve the regulatory environment, such as reforms to the commission’s advertising or custody rules. Piwowar acknowledges that there will be little movement on major rulemaking initiatives like a fiduciary standard while he is the acting chair, but he hopes to at least to begin developing the groundwork for some fresh proposals ahead of the confirmation of Jay Clayton, President Trump’s nominee for chairman, and the filling of the two additional vacant commission seats. The Labor Department on Wednesday took the first step toward handing financial companies a victory in their effort to eliminate a controversial conflict-of-interest rule for brokers who offer retirement investing advice to customers. The department proposed to delay the so-called fiduciary rule, which the Obama administration finalized last year after a fierce battle with the financial industry. The rule is scheduled to begin on April 10, but the proposal would delay that until June 9. The move stems from a memo that President Donald Trump issued on Feb. 3 asking the agency to reevaluate the rule and defer its implementation. The fiduciary rule would require financial brokers to consider their clients’ best interest — not their own commissions — when offering retirement investing advice. Insurance companies, mutual funds and brokerages have fought the rule because it will limit their sales practices. Lobbyists for these businesses praised the proposed delay. Though the delay was expected after Trump’s memo, the 60-day period was shorter than what many lobbyists wanted. Despite the brief delay, financial companies can still expect the Trump administration to ultimately rescind the fiduciary rule, said Jaret Seiberg, an analyst with Cowen & Co. 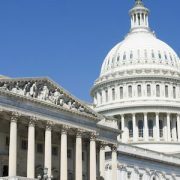 In early June, the Labor Department is likely to issue another delay in conjunction with a plan to rescind much of the regulation, Seiberg said. “The vast majority of investors are entirely unaware that these conflicts of interest even exist, and often end up with investments that have lower returns and higher fees,” Financial Engines said. Global Atlantic-Accelerate your earnings potential! AGENT BONUS PROGRAM FOR SELECT ANNUITIES Effective for applications received 2/21/2017 through 3/31/2017. Accelerate your earnings potential with a 1% commission bonus on sales from February 21, 2017 through March 31, 2017.
with no minimum production requirement. So, if these products are appropriate for your clients, you can now enjoy a potential reward for your overall production while fulfilling your clients’ needs. Rev up your sales and accelerate your earning potential today! Rules of the road Agents are eligible if they have no debit balance and have not been the subject of any customer complaint. The program and its criteria apply to individual writing agents signing applications. Prior to payout, a W-9 is required from each agent who will receive a payout. Final payments will be assessed 91 days post-close of promotion. Any cases not fully funded in 90 days become ineligible for this incentive. Global Atlantic reserves the right to terminate or change the terms of this program at any time, at its sole discretion, and will make all determinations as to eligibility. Choice Income fixed index annuity is issued by Forethought Life Insurance Company, 10 West Market Street, Suite 2300, Indianapolis, Indiana. Available in most states with contract FL-FIA-13 and ICC14-FL-FIA. ForeSpending Select fixed index annuity is issued by Forethought Life Insurance Company, 10 West Market Street, Suite 2300, Indianapolis, Indiana. Available in most states with Contract FA1201SPDAX-02, FA1201SPDAX-01, ICC11-FA1201SPDAX-01 and FA1201SPDAXL-02 (certificate series GA1201SPDAX-02, as applicable). Income 125+ and Index Bonus 115 fixed index annuities are issued by Forethought Life Insurance Company, 10 West Market Street, Suite 2300, Indianapolis, Indiana. Available in most states with Contract FA2001SPDAX-01 and FA2001SPDAXL-01. Income 150+, fixed index annuities are issued by Forethought Life Insurance Company, 10 West Market Street, Suite 2300, Indianapolis, Indiana. Available in most states with Contract FA1201SPDAX-01, FA1201SPDAX-02, ICC11-FA1201SPDAX-01 and FA1201SPDAXL-02. Global Atlantic Financial Group (Global Atlantic) is the marketing name for Global Atlantic Financial Group Limited and its subsidiaries, including Forethought Life Insurance Company and Accordia Life and Annuity Company. Each subsidiary is responsible for its own financial and contractual obligations. 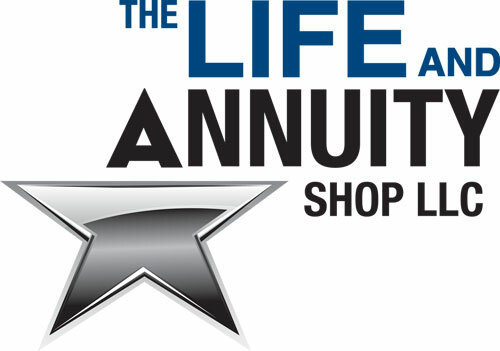 https://www.annuity1.com/wp-content/uploads/2017/03/global_atlantic_logo.png 200 200 Neal LaPierre https://www.annuity1.com/wp-content/uploads/2018/03/the-life-and-annuity-shop.jpg Neal LaPierre2017-03-02 10:03:252017-03-02 10:03:25Global Atlantic-Accelerate your earnings potential! Earn an Additional $500 Cash On EACH $50,000-Premium Annuity Sale! 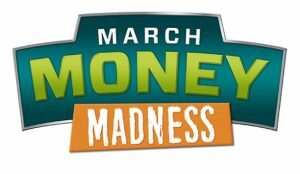 This year, when March rolls around…think EquiTrust! • Applies to applications received at EquiTrust between March 1 and March 31, 2017. • Contracts must be issued by April 28, 2017. • Commission special will be paid in early May. • Only one bonus will be paid for an individual client. • For split cases, the commission special will follow the commission split. • EquiTrust may terminate this offer at any time. 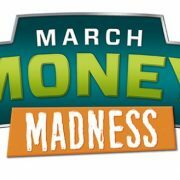 https://www.annuity1.com/wp-content/uploads/2017/03/EQ_march_money_madness1.jpg 329 568 Neal LaPierre https://www.annuity1.com/wp-content/uploads/2018/03/the-life-and-annuity-shop.jpg Neal LaPierre2017-03-02 09:41:022017-03-02 09:41:02Equitrust Commission Special!